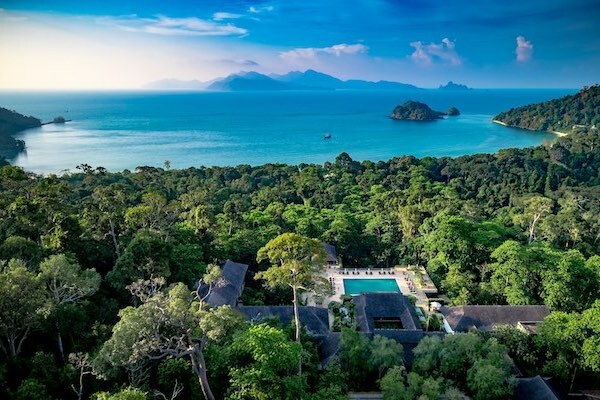 Set within Langkawi's ancient rainforest, The Datai is an elegant resort along one of the island's finest beaches. 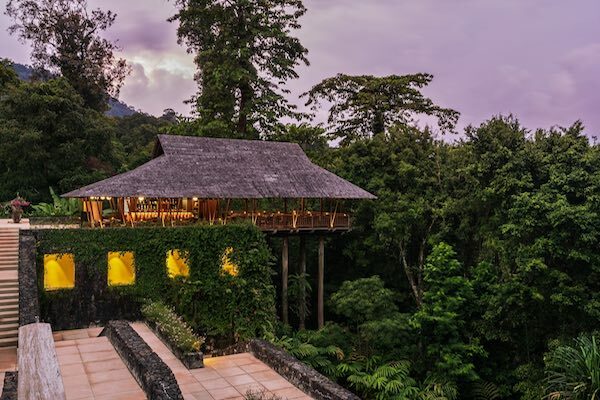 Every effort was made to preserve the rainforest during construction and an in-house naturalist guide has developed a network of trails and viewing spots to maximize guest exposure to this natural wonderland. Guest rooms are quite spacious with large bathrooms and walk-in closets. All are designed with contemporary comforts, Asian accents, and have gleaming hard wood floors and furnishings. Canopy rooms and suites are located within the main building, providing easy access to the resort's facilities and adult-only swimming pool. All have balconies, rainforest views, a king or two single beds, and two oversized daybeds. A limited number of connecting rooms are available. Suites also have a living and dining area with seating for two. 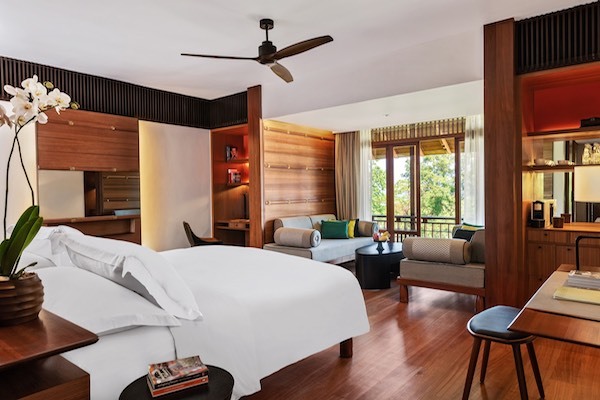 The Datai Suite has two bedrooms, a kitchen, living room, dining area with seating for six, and stunning views from the massive balcony. 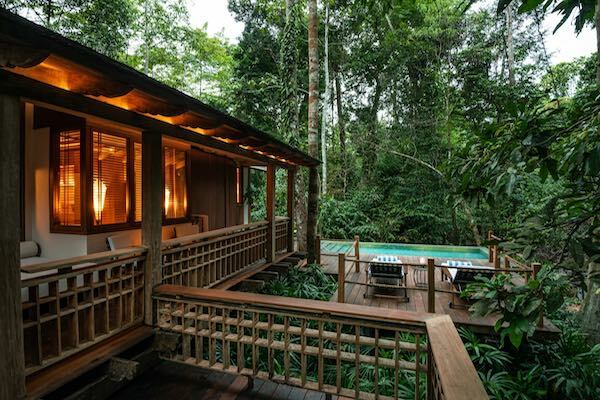 Rainforest Villas are nestled within the trees, some beside a stream. With a private verandah, dining table for two, king bed, and an oversized day bed, these provide a secluded retreat in nature. 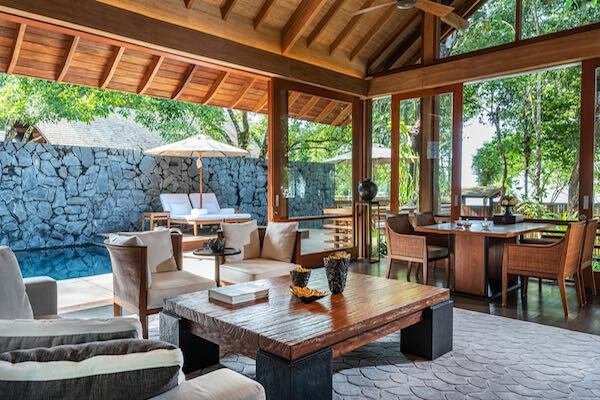 Rainforest Pool Villas have the added benefit of a private plunge pool with built-in jets and a small sundeck. 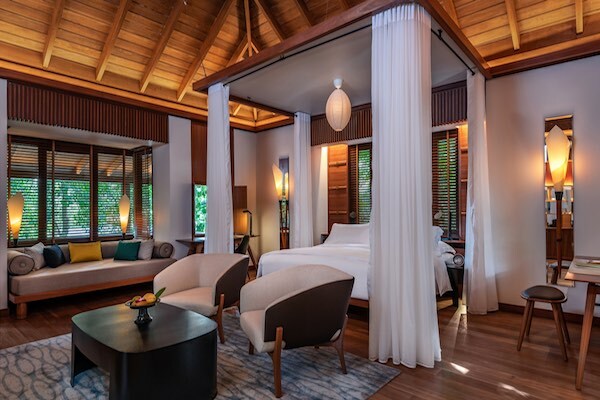 Two of the Rainforest Villas have two bedrooms each and share a swimming pool. Rainforest Villas are downhill from the resort's main facilities and a short walk or buggy ride from the beach and family swimming pool. One and two-bedroom Beach Villas offer exceptional privacy and luxury. Each has its own swimming pool, direct access to the beach, and a bedroom and bath set apart from a lounge and dining area. Butler service is provided and breakfast can be served in the dining area or enjoyed at the Beach Club or Dining Room. A variety of activities are offered to guests including guided walks, yoga classes, and ocean excursions. A canopy walkway and nature centre were added during the 2018 renovation. Kayaks, Hobie cats, windsurfing equipment, and stand-up paddleboards are available for guest use. 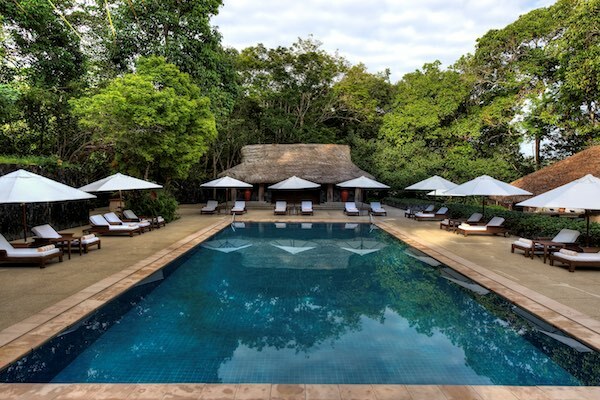 The Datai Spa offers a full range of treatments in a peaceful setting that highlights the rainforest's natural beauty. A round of golf at The Els Club Teluk Datai, mangrove cruises, a charter sail aboard a traditional wooden junk, and more can be arranged. The Gulai House serves traditional Malay and Indian cuisine in the evening with the jungle serenading diners who choose to sit al fresco. 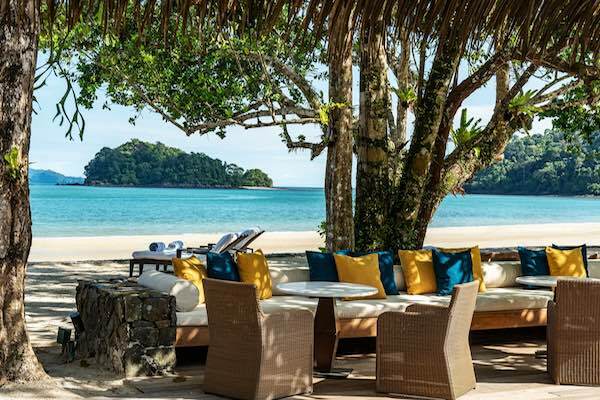 The Pavilion, built on stilts looking toward the Andaman Sea, dishes up Thai food while The Dining Room provides an international menu throughout the day. For an ocean view meal, The Beach Club serves an array of options at lunch and dinner. Light snacks and drinks are available at The Lobby Lounge all day and accompanied by musicians in the evening. 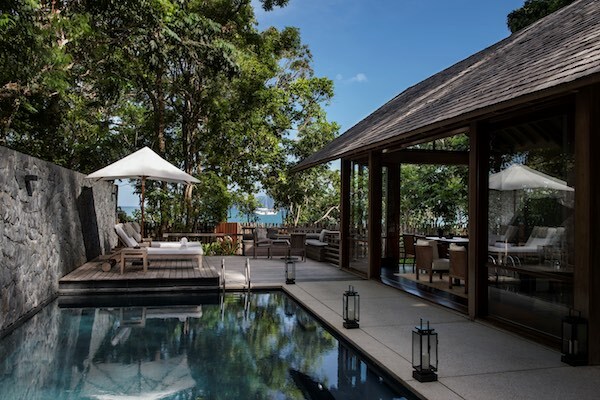 The Datai is located in quiet Datai Bay, approximately 40-minutes drive from Langkawi International Airport. The beach is shared with guests of one other resort and motorized watersports are not permitted in the bay.